As small stakes poker games have gotten tighter and more aggressive over the last few years 4Bets have become more common. In fact some even say that 4Betting is the new 3Betting. However, many people still get themselves into trouble when defending against them. They don't know how to put their opponent on a proper range and therefore they don't know what the most profitable counter strategy is. So in this article I am going to talk about everything concerning 4Bets in micro and small stakes cash games. A 4Bet is a re-raise of a 3Bet. So somebody has made an initial raise (often called an open raise), and then somebody else has re-raised that (a 3Bet), and then somebody else has re-raised the 3Bet (which is a 4Bet). The action can also occur between just two people instead of three. In fact this is actually much more common. It is folded to the button who raises. The small blind decides to re-raise and the big blind folds. The action is back on the button who thinks for a minute and decides to re-raise again, putting in the 4Bet. The action is now back on the small blind who can either fold, call or make another raise, which is usually "all in", also called a 5Bet. 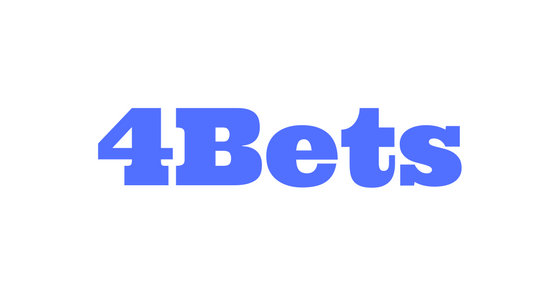 What is a Typical 4Bet Sizing? Many people get confused about 4Bet sizing so let's also talk about that right off the bat also. It is extremely important to get your sizing right as I will explain below. A typical 4Bet size should be between 20 and 25 big blinds. Let's discuss how we get to these numbers. The open raise size that I recommend these days is 3x the big blind. You can make it less if you are in a steal situation (i.e. folded to you on the button) and more in particularly wild and loose games (some NL2 games for instance). The 3Bet sizing that I recommend these days is 3x the original raise when you are in position and 4x when you are out of position. I want to be clear that these are the bet sizings that I recommend against one opponent. You need to add additional big blinds if you are squeezing (multiple opponents). So on average then (versus one opponent), the pot size should be about 10 or 11 big blinds after the 3Bet. My typical 4Bet sizing is just over double this, something like 2.2x. So if there is exactly 10 big blinds in the pot, I will make it 22 big blinds to go when 4Betting. Why the smallish raise size you might be asking? Because I want to be able to fold on occasion and lose the least. If you always just bomb the pot to 30 big blinds or more you are committing a huge amount of your stack which makes it difficult to ever fold. This makes no sense if you want to be able to bluff sometimes with your 4Bet range or even make a really sick fold with JJ or AK for instance if you are up against a nit who always has AA or KK. This is why I prefer the smaller 4Bet sizing. Because basically: 22 big blinds accomplishes the exact same thing as 30. Either sizing says to your opponent, "Hey, I am dead serious about my hand, you need to fold now." The difference though is that 22 big blinds allows you to fold on occasion and save those 8 big blinds. In today's games where the edges are smaller little things like this can make a huge difference to your long term winrate. What Does it Mean When Somebody 4Bets You? Ok, let's get into ranges now because that is what matters the most. While the games have gotten tighter and more aggressive in recent years even at the lower stakes, many people make the mistake of thinking that everybody is bluffing them now and they need to call down light. I still play these games all the time and let me tell you that this is definitely NOT the case. While plenty of people at the micros will 3Bet a little bit light these days, a 4Bet still means a very strong hand a large amount of the time. The particular stat that is the most important here on your Pokertracker HUD is 4Bet ratio. I have used ratio instead of % for years now because I find it to be much easier in predicting ranges. And so on. You get the point. And obviously these ranges are by no means an exact science. This is an extremely rough guide from my experience over the years. Every player will have a different range. Most regulars at the lower stakes these days (NL10 and below) will have a 4Bet ratio of 1 or 2. At NL25-NL100, most will still have a 4Bet ratio of 1 or 2 and a few of the better regs will be at 3 or 4. I don't play live as often, and obviously you don't have this information available, but I would expect most 4Bets to be a strong hand at the lower limits there as well, unless the opponent is a huge fish. 4Bets still mean business most of the time at the lower limits. You should take them seriously. How Should You Defend Against 4Bets? So considering these tight ranges, how should you defend against a 4Bet? Well, you should probably just fold most of the time when somebody 4Bets you and you don't have a premium hand. If it is a 4Bet ratio 1 nit often I will just make a slightly sick fold with anything that isn't AA or KK. This is especially true at full ring by the way. I am not going to go too deep into the differences between 6max and full ring in this article, but there will be obvious differences between these games when facing 4Bets due to 3 more players being at the table. The action in the hand is extremely important as well as I frequently discuss on this blog, in my books etc. (i.e. LP vs Blinds is far different than LP vs EP). So most of the time at the micros versus a 4Bet you should indeed just fold. When should you continue then? Well with most premium hands versus 4Bet Ratio 2+. And sometimes with speculative hands as well depending on how wide their 4Betting range is and if you are in position or not. Having position (if you intend to call and play a flop) is going to be extremely important to your ability to win the pot. This is because regardless of the hands, the person getting to act last after the flop in poker is alway a big favorite. A lot of the time versus a 4Bet you should just be shipping the rest of the money in the middle though if you think you are ahead. And of course once all the money is in the middle, the positional advantage is removed. The reason why I like 5Bet shipping quite a bit is because it gives me that fold equity. Sometimes you can get another reg to lay down his JJ for instance which flips versus your AK. I have no problem just taking down that 20-25bb pot when out of position versus them. Versus the recreational players and bad regs I will be more inclined to call the 4Bet when in position though. The reason why is because I know that my postflop edge is large and so therefore I would rather avoid flipping coins versus them. I want to be clear here that I am assuming 100 big blind starting stacks throughout this article by the way. If the stacks are 200bb or 300bb deep you can and should be calling 4Bets much more often. This is because the implied odds are massive. Should You Ever 4Bet or 5Bet Bluff? What about 4Bet or 5Bet bluffing. Should you ever do it? For the most part at the lower stakes I would say no. The reason why is because often they won't be able to fold their AK, AQ, QQ/JJ/TT type hands (and sometimes even worse) and you will be at a pretty severe equity disadvantage. In fact at the very lowest stakes (NL10 and below) I am very rarely bluffing when I 4Bet or 5Bet. It is almost always a premium hand. I will have a small 4Bet/5Bet bluff range though at NL25+. This is because these are the limits where you will start finding some better players who are thinking a little bit deeper about your range. If you have no 4Bet/5Bet bluff range against players like this, then it will be hard to get action against them with your good hands. Lastly, the hands that I choose when I am considering a 4Bet/5Bet bluff will almost always have some high card blockers, a small suited ace for instance. These hands also give you some reasonable equity (~30%) versus every big pair except AA. On the other hand, 4Bet/5Bet bluffing with a hand like 87 suited is typically a bad idea because you block nothing at all and are typically in terrible shape when you get action. Let's finish up here with some example hands. Because as always in poker, every situation is unique and it is very difficult to make concrete rules that apply to every spot. I am not going to give my reply yet to these hands by the way. I want you to post your thoughts in the comments below and I will give mine in a day or so after I publish this article. TAG Villain (4Bet Ratio 2) open raises from LP. Hero decides to 3Bet AK from the big blind. Nit Villain (4Bet Ratio 1) open raises from MP. Hero decides to 3Bet QQ from the small blind. Hero open raises with JJ from LP. TAG Villain (4Bet Ratio 2) 3Bets from the big blind. Let me know your comments about these hands below. What would you do? Thanks for reading guys. If you want to know my complete strategy on how I created some of the highest winrates in online poker history at the micros, make sure to pick up my free poker ebook. In your hand #1 I would actually lean towards making a nitty fold. A TAG from LP would have an open range of about 20-30%, but a TAG would never 4-bet with anything worse than AA, KK, QQ, JJ, AKs or AKo. So, best case scenario I am a coin toss and playing out of position. The out of position aspect would be the deciding factor. Hand #2 is very similar in how I would play it. A NIT from MP is opening up to like a 10% range. A NIT would only 4-bet with the nuts. If I am ever 4-bet by a NIT I immediately think AA or KK. I would fold my QQ in this spot because even if I flop an overpair I could still be drawing to a 2-outer and lose my entire stack. I'll fold preflop with my QQ assuming we are both deep stacked. At the micros you gotta have the discipline to lay down huge hands. If I made the wrong fold here I'm ok with that because I will make the right fold 9 out of 10 times. Hand #3 I would flat. Our opponent knows we are opening up pretty wide from LP and doesn't figure us for JJ. He could just be defending his blind and trying to send us a message that we can't try to push him around and steal his blinds. If I miss the flop I will still be in a great spot because of my positional advantage. 1- Its close but i shove. I consider a range more wide than 2% because of the positions envolved. 2- Its a tight explorative fold. 3- Both call and 4bet are good here. I prefere in spots like that, just call with this kind of hand to protect my calling range a little bit and be more polarized when i make 4bet IP. #1 calling op isn't really viable I would fold to an unknown opp against a reg who I've taken notes on and know well I don't mind mixing things up but as a go to at 5nl fold 85% of the time. #2 at full ring I think this has got to be a fold at least 95% of the time nits love there AA KK to much for my liking,again if I've taken notes on villain then I'd rely less on stats and more on our level of understanding. #3 I personally love a flat in this position purely with intentions of folding unimproved (as mentioned above taking notes is crucial as you climb the stakes your starting to come up against thinking villains it surprises me know ones mentioned the importance of note taking) so a flat for me. Wasn't knocking anyone BTW just suggesting new ways to exploit villains stats give us the technical info but notes give us better understanding when start playing against thinking, creative players. Just my 2 sents anyhow. #sorry Nathan I realise this is purely data driven defending (didnt take a proper note of the title lol)my note taking suggestion's didn't really add to anything but as always I'd like to hear your views and suggestion's. Shove! Standard blind vs LP. We have some fold equity, we block KK+ and flip with QQ. Fold! He's mostly crushing us, we block nothing and wer'e OOP. Call! We can't fold JJ to 1 3bet given the battle positions. This is only a 3bet and if we 4bet we must fold to a shove from this dude. JJ is an easy call IP with overpair / 2nd pair / set potential, especially given the positions. Thank you everyone for your comments on these hands! I think it is pretty unanimous about hands #2 and #3. Almost everyone said hand #2 fold and hand #3 call. I agree 100%. Hand #1 is the interesting one. The opinions seemed to be split about 50/50 for shove or fold. I think this spot is very close. And the thing about a really close situation is that it doesn't actually matter that much which one you choose because it won't make a huge difference to your long term winrate either way. I slightly lean towards just shoving because it is 6max, the villain is TAG, opened from LP and probably 4Bets most premiums. If he ever mixes in a 4Bet with AQ here, then I think we have a clear +EV shove. It is so player dependent and therefore close. Any history between us and villain is very important as well. However, at NL5 there are so many huge nits even in 6max that I would still be careful here. There are many players at this level that I will make the tough fold against. At higher limits this is almost always a shove due to the increased aggression levels. Nathan .... I am scared ... I just red an article about how an online poker robot called libratus defeated the world champions in heads up poker ... and in a few years online poker might die because robots will be everywhere ... it will be hard to tell when we play against a robot or when we play against a human .... what do you think about this ? Haha ya some people are freaking out about that. The humans won last year by the way. Bot technology is improving no doubt but you have to remember that this is all highly theoretical at this point. The idea that bots are now going to invade online poker is just silly. The poker sites alone will do everything on earth to stop it from happening. This is because they make billions from online poker, they are truly the biggest sharks of them all. And they only need to catch you once. Goodbye bankroll and banned for life. Hi Anton, I am glad that you like my blog! I think you should just focus on your results instead of comparing yourself to others. Just focus on improving and moving up the stakes slowly but surely.